Guest Post by Sergey Aliokhin – The views of Amberd Design Studio are not always reflected in this content as the author’s views are entirely his/her own. Progress moves the world ahead. And the online space is not an exception. You can see how it develops rapidly. How many new services and opportunities there are on the web. The Internet has already proven that it is a wonderful place to run any business. However, if you want to launch a new website that would represent your business, you will have to do a proper SEO for this. SEO is like science that has lots of contradictions. These contradictions revolve around strategies, tips, and tricks that the experts suggest. You know opinions differ. Thus, the technique that works for you might not work for me. But when we talk about the ways to rank well in Google, we come to the point that the one way that works like a charm is link-building. 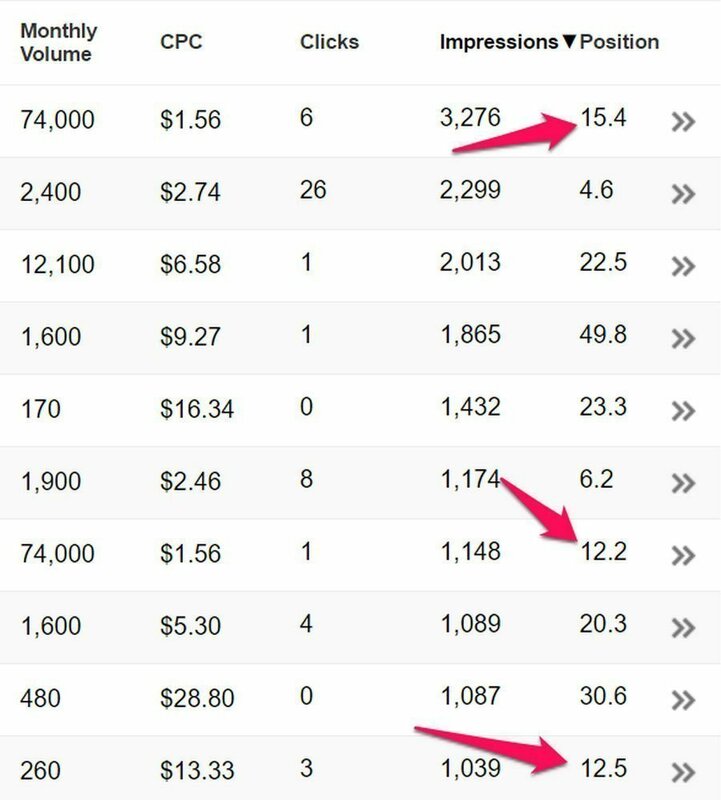 I would like to represent you 19 actionable link-building strategies that will blow your mind in this article. I believe you would agree with me that getting links that bring zero traffic is useless. You just waste your time. Nothing more. Thus, I advise you to consider getting natural referral traffic. What’s more important, it is safe to deal with such links regarding any Google update. The best way to identify these links is with the help of “organic traffic” report and additional metrics within Site Explorer tool. As you already guessed, the more organic traffic a link can bring, the more useful it is for you. If content can’t bring you links, it is useless as well. Thus, you must try to create “linkbait” content only. I am sure you’ve heard about “evergreen content.” I won’t deny that this type of content works great when it comes to getting links. However, “evergreen content” will catch more links if you add something new to it. Keep in mind that no one gives you a link if you pitch the material that has been covered multiple times. SEOs, marketers, businessmen spend their time on forums where they can share their insights and get answers to the questions. Apart from this, forums could be a nice place to get links as well. It is a brilliant idea to get some traffic, isn’t it? Needless to say that email outreach is a robust strategy for link-building. Yes, it is time-consuming. Yes, it requires your efforts. Yes, it is not always resultative. Despite these facts, email outreach is still an outstanding way when it comes to building links. Let’s quickly run through this process. 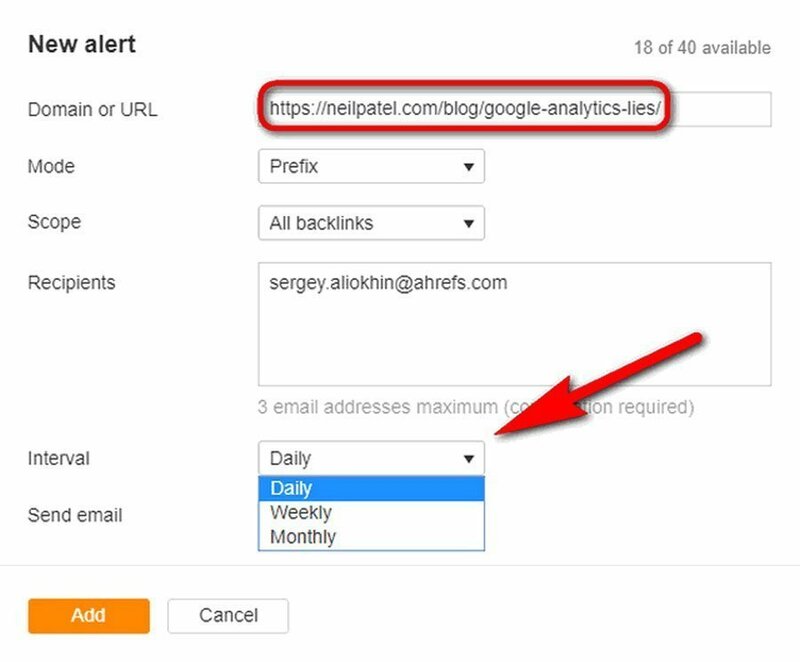 An alert (mention in this case) notifies you when a keyword you’ve put in a search query appears in some new post on the web. You can choose an interval when to get the notifications straight to the email box you’ve stated. Afterwards, you review the opportunities and select the ones to reach out to. Talking about searching personal email addresses of your targets, I recommend you to use a couple of tools. I work with ContactOut, Findthat.email, and Voilanorbert. I won’t go into details how to work with these tools. They are pretty intuitive. One of the best tools for crafting email templates is Buzzstream. Alongside with a convenient system for creating templates, it makes the process of outreach much easier. You can see how each template performs, pay attention to such metrics as open, replay, clicks rate and more. To put it simply, Buzzstream is an excellent platform to keep your email outreach campaigns under control. Believe it or not but you shouldn’t be on the war-path against your competitors. Use these competitors to your benefit instead. Behave like a spy and watch the links your competitors get. Sounds a bit intriguing, doesn’t it? You will get notifications according to the interval you’ve chosen. The last thing you should do is to check the backlinks you will get. First of all, let’s recollect what a broken backlink is. A broken backlink is a link that leads you to the page that is no longer available. As you understand, these backlinks have no value at all. Hence, they should be fixed or removed. The next question is how to fix these broken links? You have two options to choose from. The first one is to get in touch with an editor of a linking site and ask to update a given link. The second way is to set up 301 redirects. It goes without saying that “dofollow” links bring more value in terms of rankings. And SEOs undoubtedly hunt for these links. However, it has been proven that “nofollow” links play a significant role as well. They influence SEO indeed. Yes, it is a real challenge to get a “dofollow” link, but there is nothing difficult about getting a “nofollow” one. It is up to you what type of links you would like to chase for. But if you want to make your backlink profile more natural, you should have both types of links. Did you know that adding a couple of internal links from the pages with high URL rating in your content will boost it up quickly? Go ahead and try. Google Search Console will help you find those pages that have a few internal links. These pages can move your target keywords in Google top 10. You can get links from Wikipedia – it is not a huge problem. The other thing is to preserve them. Just add high-quality relevant content. Remember that Wikipedia demands the material that brings real value. Only after that, your link will be preserved. For example, Amberd Design Studio secured a link to one of their articles, The Fortress of Amberd, from a Wikipedia page. Wikipedia’s editors reviewed and approved the link to their External Links section. I am sure you’ve stumbled upon the cases when some website linked to your competitors but didn’t link to your resource. It doesn’t mean that the opportunity is missed. You may get a link from this site too. Guest posting is a proven method to earn links. Yeah, and we try to reach out high-authority blogs to offer a few “hot” topics. Since these high-authority blogs get lots of “guest post” inquiries, your chances to get an opportunity to offer your content become tiny. Nevertheless, it is not a big deal. You should focus on new websites that have been just launched. Yes, they can bring you zero traffic, but they have chances to grow their authority in the future. I am quite sure you’ve stumbled upon mentions of your brand without any linking back to your resource. Yes, it is not cool. Nevertheless, you can reach out to blogs’ editors and ask them to add a link. But don’t think that they will help you free of charge. They may ask you something in return. Your purpose is to find the mentions of your brand on the web. Ahrefs’ or Google’s alerts will help you with this. 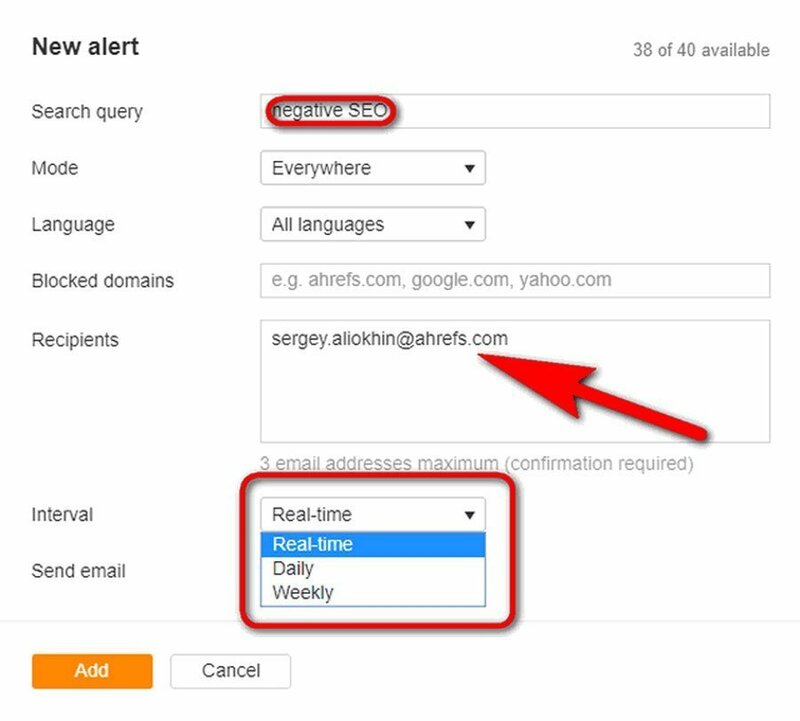 Just create an alert with your brand name and get the notifications in a real-time, daily or weekly. Many newbies who have just started their online activity know almost nothing about “copyright rights.” It leads to violating these rights, which could be penalized. Despite this fact, you can use this situation to your benefit. For example, if you come across some of your content without any reference to your website, you can ask to remove it or add a link. It is a great way to get traffic too. Releasing new content aims to get traffic, shares, and a kind of recognition among your target audience. You see that your post has already got lots of comments. It gives you a signal that the subject you’ve covered seems to be solicited. How to make this piece of content bring you benefit again? You should give it another shot. There is no need to rewrite the post. It would be much better to transform this content into some visual elements like video, infographics, image collaborations. Authority websites like Medium, Social Media Today, LinkedIn Pulse could be a nice place to share your newly resurrected content. Absolutely, it is petty exciting and tactically essential to know what competitor’s content gets a load of links. It helps you sort out your priorities as to choosing topics for further publications. However, if you want to get backlinks, you will have to write it better. To understand if the topic is promising, you should pay attention to the number of referring domains the page of the post contains. A study across 16, 000 keywords proved that using them in anchor text affects the search rankings. However, only 2% of anchors had a partial match of 30%. It means that only 1 of 3 links can include a keyword you want to rank for. Reconsider the anchors you would like to use, or you may have some issues. Google Penguin watches you. 17. Did you find competitor’s broken links? Steal them! No, I won’t offer you use some illegal strategies. No worries. I just want to share a widely-spread method of getting backlinks among SEOs. This way of link-building involves offering to replace those broken links you have found by your high-quality related content. 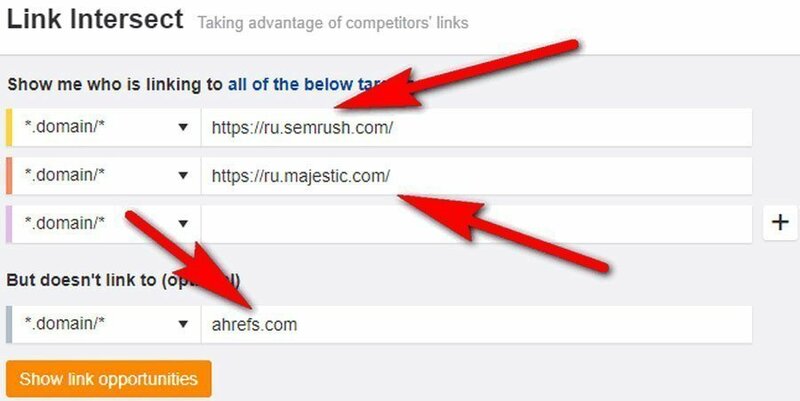 Try this strategy, and some of the website owners might give way to your efforts to replace a broken backlink with your content. Let’s start with an understanding of what a recurring backlink source is. Recurring backlink sources are websites that link to your competitor’s pages manifoldly. You can use this for your benefit. It is utterly important to keep your backlink profile safe and sound. Hence, clean your backlink profile from spammy links. Primarily, you should protect yourself from negative SEO attacks. I advise you to check your backlink profile for suspicious links. The best way to get and make an analysis of all backlinks is with the help of exporting a report to CSV file. After analyzing all backlinks, you should reach out to webmasters where these links are hosted and ask to remove them. If this method doesn’t work, you should disavow these links using Google’s disavow tool. Yes, SEO undergoes changes almost every day. And these changes cause different contradictions among experts. The argues lead to building new strategies and techniques. Since link-building is an integral part of SEO, it goes through various additions that introduce us the ways of building links. Well, I’ve shared 19 link-building strategies that might blow your mind for sure. If you found that the article is full of useful insights, don’t shy away from commenting and sharing it. Sergey Aliokhin is a Marketing Manager at Ahrefs. Apart from working at Ahrefs he likes spending his time with family, studying martial arts and plucking fat bass guitar strings.